Don’t think of K-Hand as just another Detroit-based producer, or DJ. Think of her instead as one of the city’s best, as bold as that thought may seem. 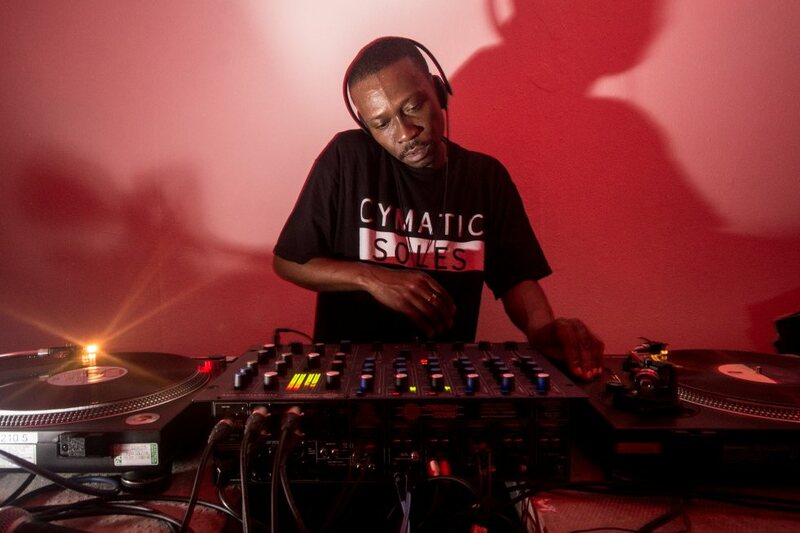 An internationally recognized veteran of the legendary Techno City’s bottomless talent pool, Hand stands alongside Detroit’s elite, the sort of DJ that has devoted more than two decades to working crowds into techno dance frenzy. With the latest and hottest music coming out of Detroit on Acacia and Nina Kraviz’s Label трип (English: Trip), Hand knows how to read a crowd and seduce it, one track after another, until she has it at her mercy, and the dance floor dances. Marcellus Pittman will be showcasing his trademark raw mixing style in the Bad Room with an all night set. The Detroit producer has an impeccable selection of of soul, electro-funk, and house tunes that we know will be keeping us on the floor for hour. He’s has been making us dance for decades, whether it’s through his own music or through his 3 Chairs project with Rick Wilhite and Kenny Dixon, Jr, and we’re excited to welcome him back to Good Room once again for another danceathon. 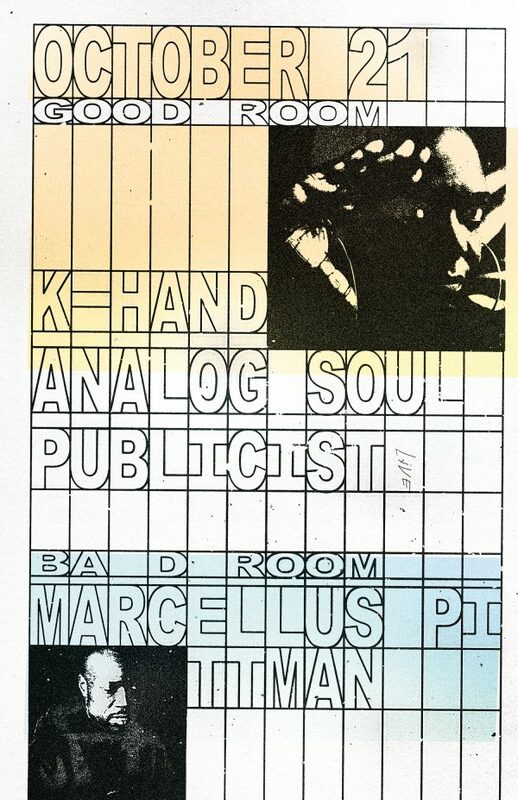 Analog Soul is an exploration into the deeper darker side of house and techno. Lead by twin sisters Jacquelyn & Kathryn Smith (aka Jacky Sommer & DatKat), the ladies will be taking us on a journey through deep house, Detroit techno, acid, dub and electronica. Publicist is musician/producer/performer Sebastian Thomson. He is mainly known as a founding member of post rock innovators Trans Am, Publicist, however, is Sebastian’s electronic music project. Publicist’s studio tracks are produced using a combination of vintage and modern equipment, and take cues from the darker corners of acid house, new beat, and Detroit techno. His latest tracks were released on Planet E records and were mixed in collaboration with Carl Craig. When performing live, Publicist sequences the synths and not the drums, preferring to play an electronically treated drum kit in the middle of the dance floor. This adds an element of sweat and instrumental virtuosity not found in most electronic producer’s live performances.